Many diseases treated by podiatrists involve pain, swelling, and inflammation. 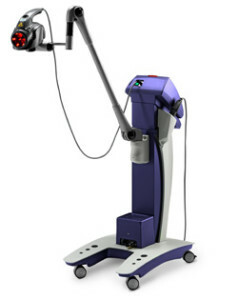 The MLS laser will counter the injury on all three fronts completely pain free! It’s like shining a flashlight on one’s skin. Unlike with cortisone injections, the patient can continue to be active throughout their therapy. Most individuals will feel relief within their first few visits, but Dr. Reddy recommends 6-10 treatments depending on the situation. How does this amazing therapy work? MLS stands for Multi-wave Lock System. Photons of laser energy penetrate deeply into tissue and accelerate cellular reproduction and growth, thus speeding up the recovery process. As inflammation is reduced, so is the pain. While MLS laser treatment shows tremendous promise, many insurance plans still consider it an experimental therapy and unfortunately do not cover the therapy. This may change as studies continue and as patients continue to feel the results. To find out more about relieving your foot and ankle pain today please contact us at (904) 739-9129.